Oil on canvas, 24 x 19 cm. 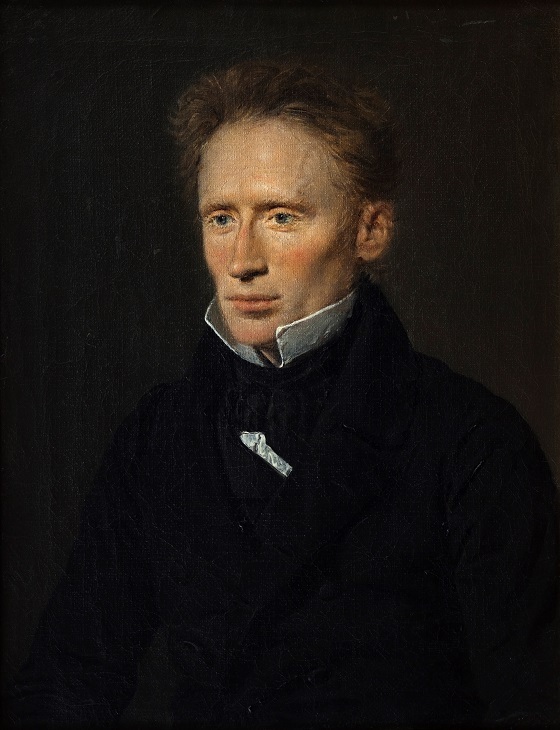 Johannes Dam Hage was originally a school teacher, but later became known as a prominent editor of the liberal journal Fædrelandet as well as an avid campaigner for press freedom and democratic rights. He was the paternal uncle and namesake of the founder of The Nivaagaard Collection, Johannes Hage. In 1837, the journal editor was given a lifetime censorship for advocating for a liberal constitution and the abolition of absolute monarchy, which left him embittered, as censorship left the political activist without a means through which to express his views. C.A. Jensen has portrayed Johannes Dam Hage with a stiff posture and a disillusioned look. It is an intense depiction of a passionate idealist, a man who has suffered as a result of the many battles he fought during his relatively short life. It is not a large picture, but nevertheless exudes a keen psychological insight.